apache Archives | It`s full of stars! In this blog I will show how you can block access to your Apache hosted internet services, forbidding access to a whole country. The access is blocked based on the IP address of a client. In case of a VPN where the user connects to a VPN server in another country, the user will still be able to access the site. The internet is a great to ensure freedom of speech. Anyone can raise his/her voice; use the information to be informed on what is happening in the world, let others know about something, share knowledge. You can do so by using a social site or by hosting your own site. The ease of access to information; be able to search it instantly; have huge amount of information able to be discovered by a large number of the world population. This is one of the true great contributions to really make the world a better place. Some countries don’t like this, applying censorship, access restriction, or worse. And basically, if you decide to block a country to access your site, it’s one step to the wrong direction. Legal requirements. Your site is not in compliance with the countries law. For instance, maybe you are logging too much personal information? The functionality is not meant for that country. You have a commercial service, and are not offering a payment option or a localized version. You are popular in a country and flooded with a lot of requests, but these are just operational overhead for you as your site is not targeted for these users. If you think hard enough, you can come up with a good reason. After finding yourself in the situation to block a specific country, the question is: HOW? You can use a blocker in your web platform (WordPress plugin), or use Apache to do so. Using a .htpasswd file for this is not optimal due to performance. Better is to use a module. A quick Google search reveals that a good option is to use the GeoLite DB from MaxMind. And they also offer an Apache 2.4 module. The module works with Apache 2 and the HTTPD server available on Amazon AMI images. Some references to projects used to set the country blocking up. The GeoLite2 DB is available as a free and commercial license. The free version should be good enough for a private blog. You can get the free version from MaxMind site. Select GeoLite 2 Country and binary format. 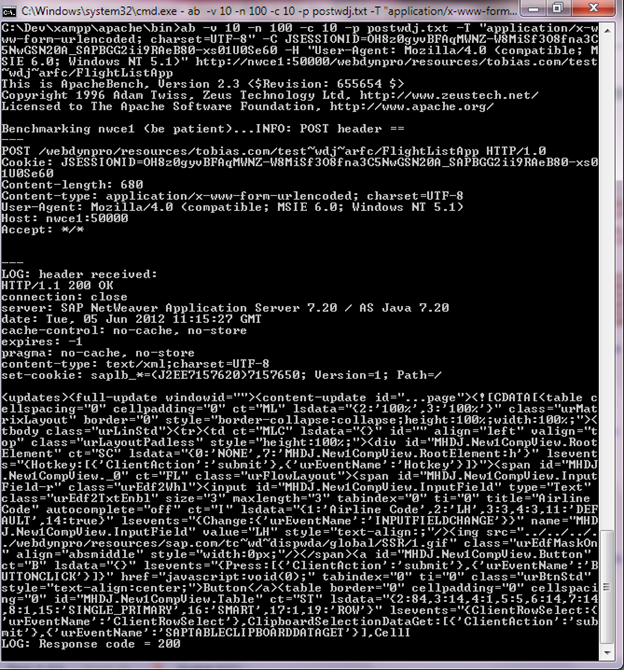 Download the file using wget. The actual DB file is close to 3 MB in size. Copy it to a directory were the apache users can find it. A good default location is /usr/local/share in a new directory named GeoIP. For the Apache module to work, the C library libmaxmind must be installed. This can be done by using yum. Another dependency is the HTTP development files. These can also easily installed using yum. The Apache module is available as source code from GitHub. For installation, download the latest release from GitHub. In my case, the latest release was version 1.1.0. Download the tar file. Download the release to Linux using wgetand unzip it. This should compile and put the files correctly into the right directory of HTTPD. If an error occurs during configuration, compilation or installation, look at the error message and good luck. To test that the module can be loaded, restart HTTPD. The service needs to start without error. This indicates that the module was successfully loaded. 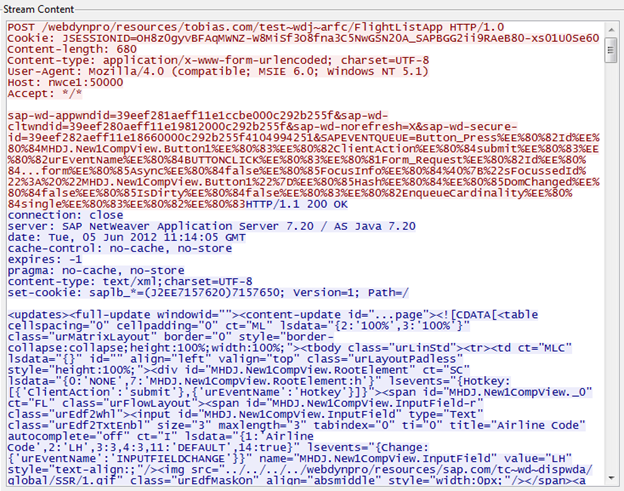 To validate this, check if the new module is actually loaded by HTTPD. To do so, list all loaded modules. The new module is correctly loaded by HTTPD. 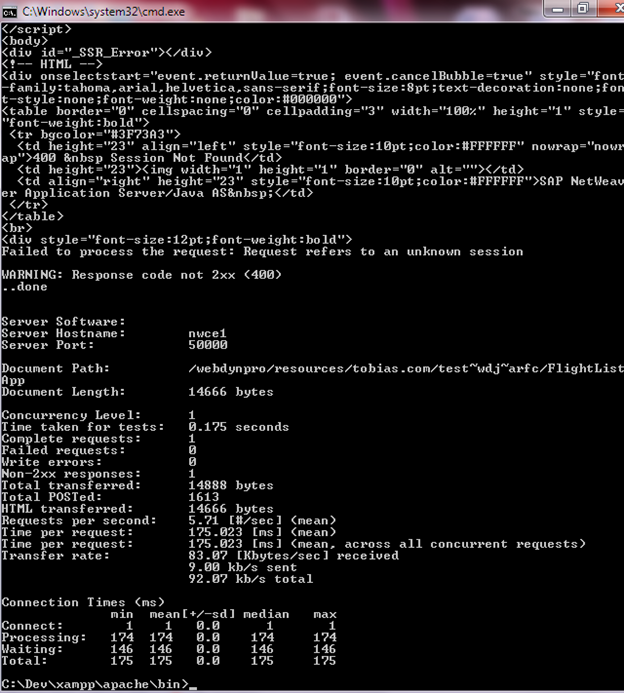 Now we can configure Apache to make use of the module. Edit the HTTP config file and add the directive to block a specific country. The GitHub site of MaxMind contains an example that serves as a very good starting point. Add the above configuration snippet into a Location or Directory directive. This is because of the Deny command. This cannot be added directly under a virtual host. To activate the configuration and to block Brazil, a restart of HTTPD is needed. After HTTPD is successfully restarted, the new configuration is activated. To see if it is working, a basic test is to just access the site from an IP address that is blocked. My IP is from Brazil, accessing my site now should give me an access denied message. A 5xx error code is returned by a web server when something went wrong: The server was not able to process the request. For a reverse proxy, a common 5xx error message is 503, meaning that the backend server is not reachable. In the technical architecture of my blog site, the WordPress site with my blogs is hosted on a Raspberry Pi in my living room, while external access is through a reverse proxy hosted on Amazon EC2. If now the reverse proxy on EC2 cannot reach my Raspberry Pi, a 503 error message is given. The root cause can be that the Raspberry Pi is turned off, there is no Internet connection available for some reason (power outage, provider problem), or something else. 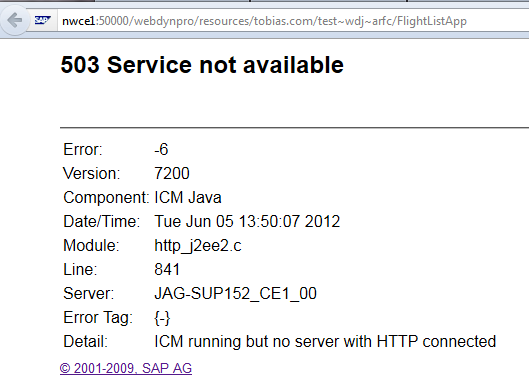 In case this happens, EC2 reverse proxy will throw an error and try to show the Apache standard 503 error page. 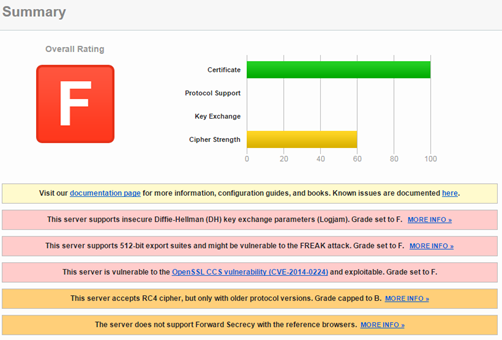 The web page used to display the 503 is the same for all Apache installations worldwide. Giving your users a more personalized message can be a nice touch. For instance, including a statement that you are aware of the issue, it won`t take long to get solved, or a better explanation of what happened. Configure Apache to use this web page. This is up to you. Internet and Google are your friend. 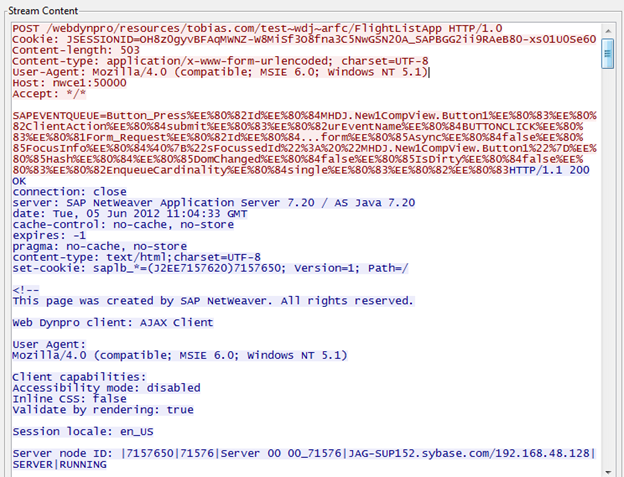 Apache has the ErrorDocument directive. For an HTTP error code you specify a HTML file to be shown. Make the 503 HTML file created by you in the above section available on the web server. Important: the document root of Apache is /var/www/html. For accessing the file, the browser will call the URL /error/503.html. Reference it in the Apache configuration. The next time the backend server is not reachable, the reverse proxy will serve the custom 503 error page to the users. After installing GateOne on my Raspberry Pi 2 Debian system, I can log on to SSH via HTTP and browser. But only from my internal network, as the external accessible port is blocked by Apache. To add GateOne from outside, I either can disable Apache (no, won`t do it) or make GateOne accessible through Apache. I`ll use Apache as a reverse proxy for this. Note: you`ll need Apache 2.4 for this, as GateOne uses Websocket for communication, and this is included only ootb with Apache 2.4. To be able to access GateOne from external, the URL of the external server must be added to origin. In my case, this means that www.itsfullofstars.de is added. Edit the apache configuration to add a reverse proxy for /ssh. Do this for HTTP and WS. 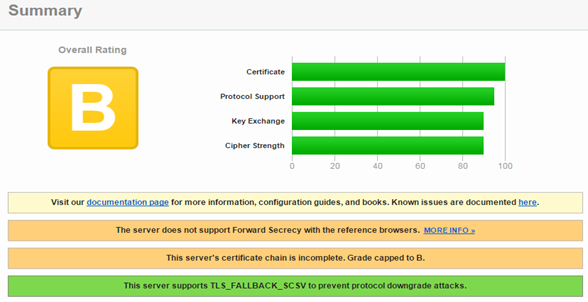 In case GateOne listens on TLS, do this for HTTPS and WSS. Now its possible to access GateOne through /ssh from external. This blog is laying around on my hard drive for too much time. The previous version of this blog series was published over a year ago!. Originally named “Load test Web Dynpro Java with jMeter” this was actually the 1st blog of the 3 part series. During the last year, a few blogs about jMeter were published, but as I do not want to leave the series unfinished, I am publishing now (finally) the last part of my load test your web application blog. WDJ application. Both were used for the creation of this blog. 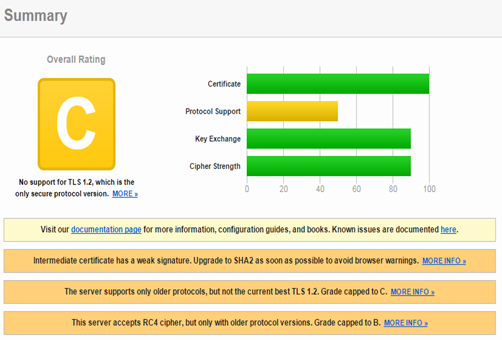 JMeter is a great tool for testing your web applications. And you can even use it to test Web Dynpro Java applications. 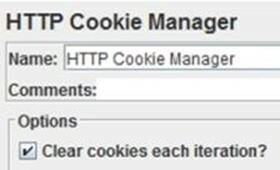 To facilitate the work of creating the tests, jMeter comes with a proxy to intercept browser requests and add them to the test. This allows for easy and fast recording of tests. 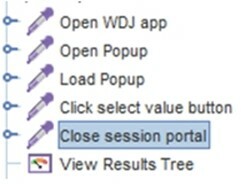 As by default a WDJ application is accessible as anonymous – or Guest – user, authentication is not needed and a test can be executed several times against the WDJ application. Pretty easy but in real life you’ll hit real soon a hard limit. 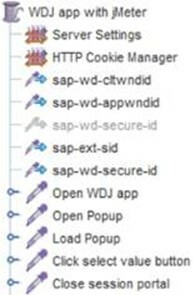 By default ,the HTTP Cookie Manager controller does not delete cookies with each iteration, or: JSESSIONID is not deleted. Running the test and checking the user sessions in NWA shows that the same Guest session is used. With that you may be tempted to run the test and to see the load generated by just 1 user. But try to run the test 50 times. 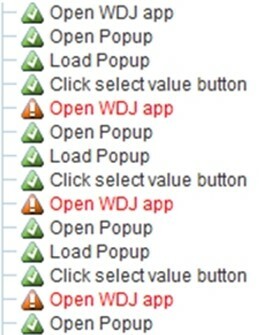 After some calls, jMeter shows an error when executing the open WDJ app step. Now let jMeter create a new session with each iteration. If now a test with 500 iterations is run, 500 Guest sessions will be created. This may not a problem, but won’t reflect your reality where sessions are ended after the user navigates away. Logging in and off creates additional load, something worth to test too. Besides this, each session occupies some memory. 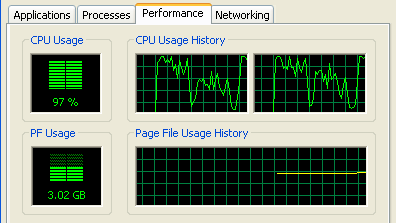 Depending on your test case, this amount of memory can consume quite some substantial part of the free memory, compromising your test results. Add this step at the end of the test. 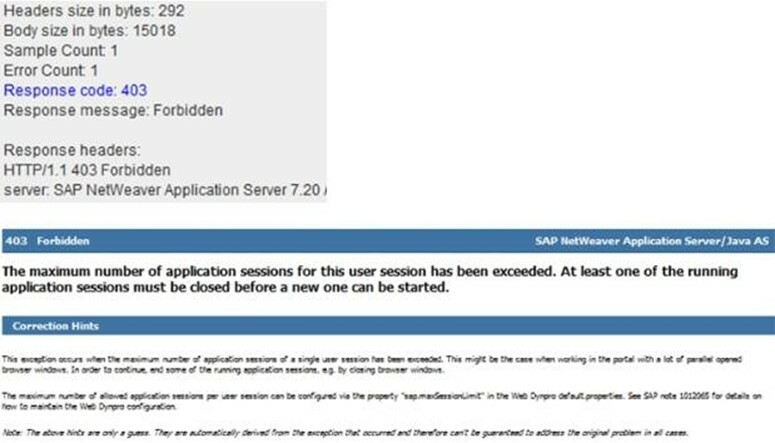 With a HTTP sampler as the last step, each iteration can be started with a new session without overloading the NetWeaver Java server with Guest or user sessions.